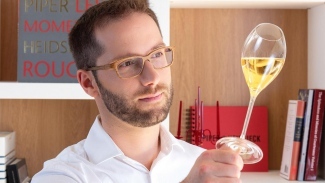 Piper-Heidsieck announced yesterday the appointment of Émilien Boutillat as their new Cellar Master of Piper-Heidsieck champagnes. The son of a Champagne grower, Boutillat trained as an oenologist and agricultural engineer and joins Piper-Heidsieck from Armand de Brignac, where he has been Cellar Master since 2014. As well as maintaining the inimitable Piper-Heidsieck style, Boutillat will aim to implement increasingly stringent environmentally-friendly vineyard practices and encourage winemaking partners to commit more permanently to sustainable viticulture. Champagne veteran Régis Camus will continue as Cellar Master for Rare Champagne, the prestige brand of Piper-Heidsieck. Previous Cellar Master Séverine Frerson – who only recently assumed the role in May 2018 – has joined Perrier-Jouët, where she will work alongside Hervé Deschamps, who is preparing for his succession after 35 years at the Maison. When she becomes Cellar Master in a few years, Frerson will be just the eighth Cellar Master in the history of Perrier-Jouët and the first ever female Cellar Master.